What kind of people run our schools? What makes them behave as they do? What kind of an example do they set? How can headteachers live up to expectations? What makes them fail? What keeps the profession in good standing in the taxpayer’s eye, and what undermines it? 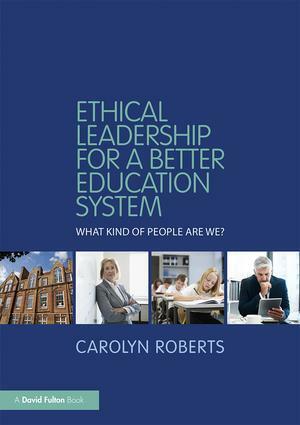 Ethical Leadership for a Better Education System: What Kind of People Are We?sets out a new vision for school leadership, moving beyond ‘leadership styles’ and ‘best practice’, to the motivations of school leaders. It proposes a way for the profession to embrace, develop and maintain ethical standards. Considering the future vision of educational leadership, Ethical Leadership for a Better Education System will appeal to all levels of school leaders, existing and aspiring. It should help everyone who leads in school, and everyone who cares about the models we set before the nation’s young.